Katie Kusjanovic is a Senior Solutions Engineer for the North American branch of Eclectic IQ, currently located in Herndon, VA. Her primary roles include conducting demonstrations of Threat Intelligence Platform and Intelligence Feed technologies and supporting customers with their operational and analytic needs. 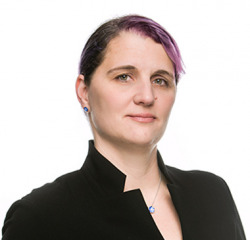 Her career covers incident response in the SOC/NOSC/Fusion Center and a panoply of cyber security engineering responsibilities, inclusive of SIEM, firewalls, endpoint detection solutions, intrusion detection/prevention systems to name a few. She has a bachelor’s degree from the University of Florida and is currently taking classes toward her Master’s Degree in Cyber Security/Computer Science.